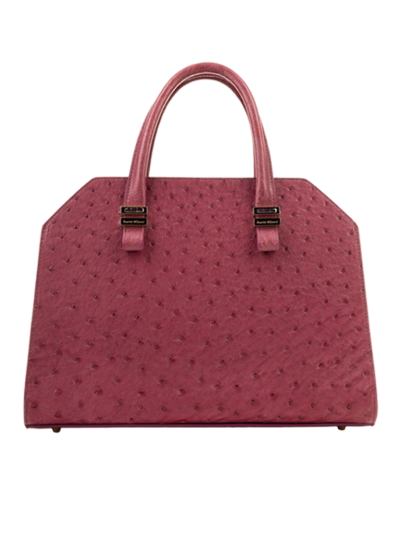 Handbag in precious python leather. 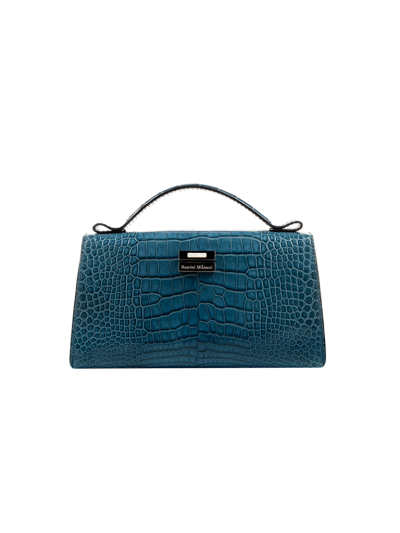 Handbag in precious python leather in Malachite green. Soft interior in green nappa leather with pockets and invisible magnetic snap. 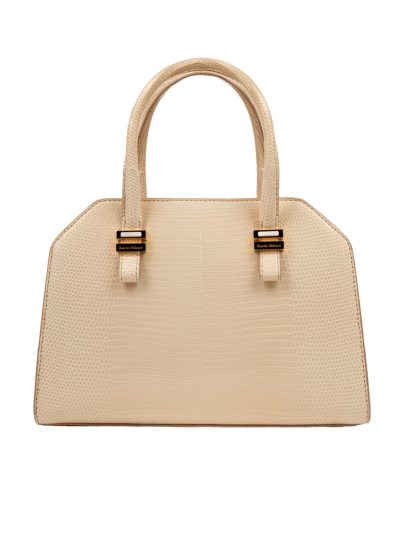 Gold plated hardware with detail in Vermarine.